It was lunch time by the time I made my way out from the Indian Museum to go to the Academy of Fine Arts Kolkata. I was tempted to have lunch in the upscale restaurant very close by, Zaaranj but instead, an equally appealing hotel close by called Lytton caught my attention and I settled for the Chinese fare there. Owing to the fast service, I was done in time to move to my next sightseeing for the day. It was a straight ride to the Academy. 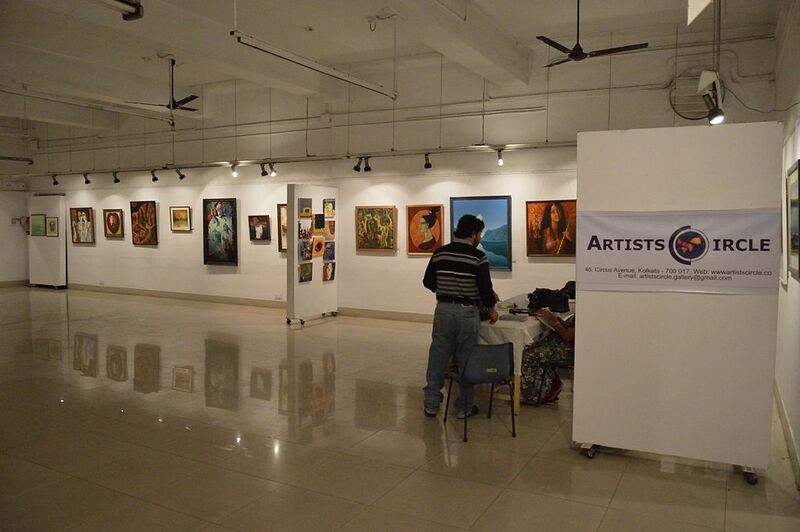 Situated very strategically near the Birla Planetarium and St. Paul’s Cathedral, the Academy is a highlight for artists and their exhibits. I learnt that the Academy of Fine Arts had been in the Indian Museum earlier in a little room with adjoining area for the exhibits but the efforts of Lady Ranu Mukherjee had been instrumental in getting it shifted in this present attractive place. The institution had been catering to the tastes of artists and lovers of art since 1933 but the inauguration of the new facility had been in 1950s which had contributions from the then Chief Minister of Bengal- B.C.Roy and also from the Prime Minister of India, Pandit Jawaharlal Nehru. The place boasts of galleries where paintings and works of imminent artists can be found hung and also the theatre auditorium where performers find expression through their work. The annual theatre festival here is a major draw for painters and artists from across the country and the world who are invited here to share their brilliant work or for the exhibits of the lesser known artists. 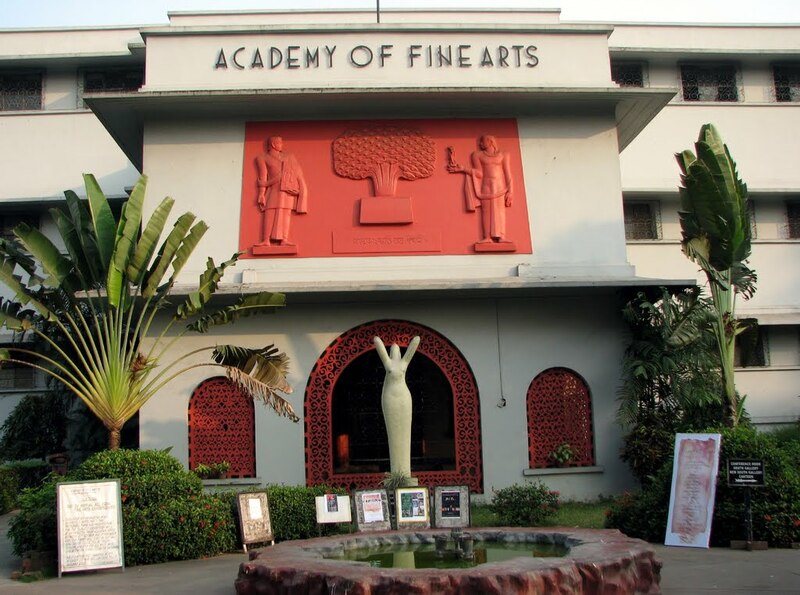 The Academy of Fine Arts, Kolkata has been playing a very important role in sustaining the growth of the creative minds in the city and in the state of West Bengal. It is because of places and institutions like these that Bengal is able to retain its old charm and literary spirit. It was close to evening now, the street lights had come on, I had had the most wonderful time looking at the paintings on display and I made my way back to the hotel. The next day it would have to be the day tour to Dakshineswar Kali Temple, Kolkata. This entry was posted in Arts, Education, Tourist Place and tagged academy of fine arts kolkata. Bookmark the permalink.